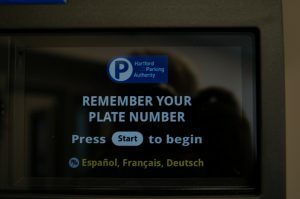 Follow the on-screen instructions, select the form of payment and amount of parking time desired, as indicated by printed instructions on the Parking Pay Station. The minimum purchase for parking is twenty-five (25) cents for fifteen minutes. 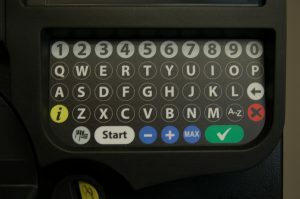 The Parking Pay Station will generate a receipt stamped with an expiration time and date, keep this for your records. 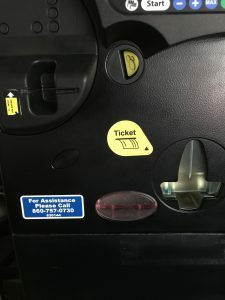 The Parking Pay Station gives you much more flexibility. Parking regulations are only in effect at specific times and on specific days, as indicated on the signs posted on each street or block. If parking is prohibited during specific hours on a street or block, your vehicle will be in violation even if the time has not expired on the receipt displayed in your vehicle’s curbside windshield. 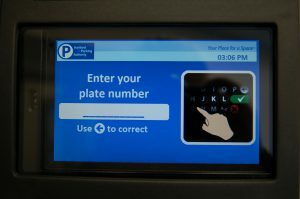 Parking Pay Stations will not operate during the restricted time and will flash a “No Parking” message on the display. In addition, credit/debit card and coin payments will not be accepted during times of parking restrictions.